When is the best time to grass seed your garden? There are different points of view on this question. When you start preparing your garden you should keep in mind that everything needs to be perfect. In order for this to happen, you need to get the right information. Below we are going to help you in order to choose the best time to grass seed your garden. You should also consider the place where you live, what type of grass you have in a garden now (or establishing a new one), what is the right type of grass, what will grow best, and finally the season. Grass seeds and grass, in general, is important because it makes up 26% of plant life on earth. You will also have a perfect lawn in your garden where you will be able to plant beautiful plants, vegetables and trees too. Finally, grass lawns produce oxygen and improve our air quality. But what is the best time to grass seed your garden? The right timing to plant your grass seed is important. The best time to grass seed your garden would be when it coincides with the natural growth of seeds. In this way, your grass will be strong and it will grow faster. You should also know that the growth and the cycles of grass are different. In both seasons you should always consider the best period of your soil because natural growth is the best one, and below we will analyze these two Categories. The best time to grass seed your garden could be the cool-season. There are specific varieties of grasses that grow best during the cool-season. This happens because of the cool temperatures of early fall and of course during the late summer. 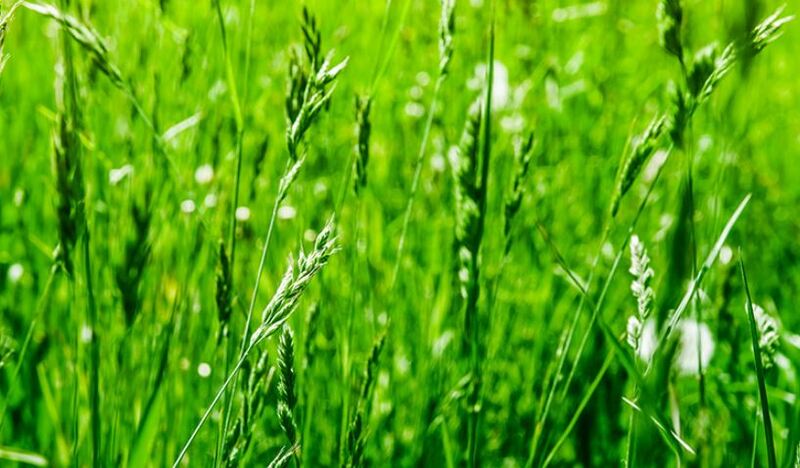 The grass varieties that grow best are the perennial ryegrasses, the Kentucky bluegrass and the tall fescues such as Kentucky 31 fescue. There are specific varieties of warm-season grasses too. We’ve got the Zoysia grass, the Bahiagrass, the Centipede grass, and the Bermudagrass. The best time to grass seed your garden would be from late spring to early summer. Finally, the best regions are the southern and western regions. Once you decide which season is the suitable for you, you should get to work. So, the best time to grass seed your garden depends on the climate that you are in and of course whether you belong to the cool-season or the warm-season. Below we are going to analyze and examine the characteristics of the seasons and types of grasses. In the end, you are going to decide which one is the right one. Also, you will be able to know how to take care of your new grass. You should always know that before you start grass seed your garden you should visit a nursery to ask for advice and always remember that your grass needs a lot of care. The cool-season grass prefers cool temperatures. The best time to grass seed your garden will be from cool spring and during the fall. Fall is the best season for cool-season grass to grow. During this season the soil is perfect because it is still warm from the summer months and the evening is cool. Thus, the grass can resist diseases because of the temperatures. The new grass will thrive when the temperature of the soil is from 50 to 65 degrees Fahrenheit. In order to check the temperature, you can use a thermometer which you can find in every garden store. A rule that you should follow would be to plant your grass seed 45 days before the weather get very cold or even snows. 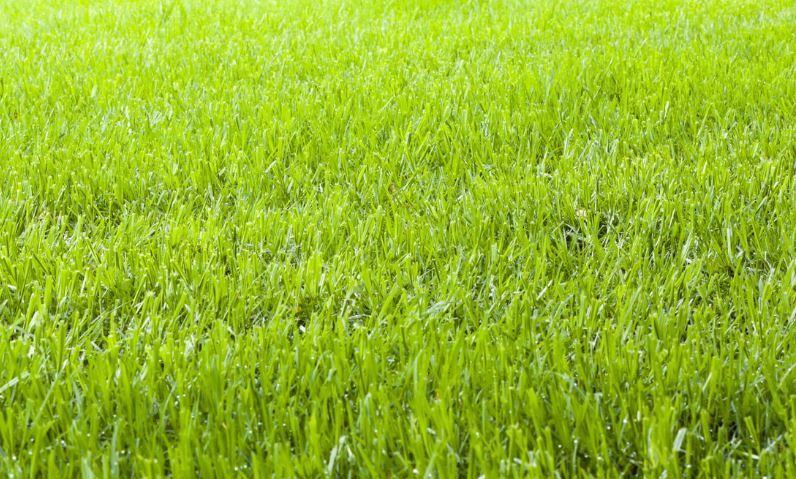 Let’s have a look at the different grass varieties and their characteristics. Perennial Ryegrass is a cool-season grass. It’s great because of the fast germination and the fact that the seeds grow fast. You can plant it whether you want to have a permanent or even a temporary lawn. Another advantage is that it can tolerate cold temperatures the heat and the drought too. This specific grass can be used as a turf-type perennial, a permanent lawn which can come back year after year if the climate is right. The annual ryegrass can be characterized as short-lived which temporary stability and quick color for one season. 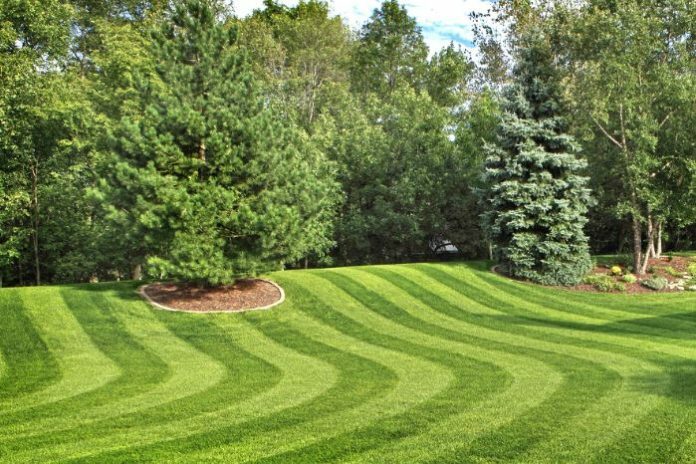 If you want to mow this lawn you should leave from 1 to ½ and 2 to ½ inches. It needs to be fertilized and also plenty of water in order to grow. If you want to plant to plant it the pH of the soil should be from 5.5 to 7.5. The best time to grass seed your garden with Kentucky bluegrass would be during the cool season. It has amazing winter hardiness, also some of its varieties can tolerate heat and drought and they are perfect for northern lawns from coast to coast. It is considered to be an ideal lawn. Kentucky bluegrass originated in Europe and Asia. It also grows in Kentucky State and covers its rolling hills. Its dense and lush makes it ideal. It also grows back year after year and it best grass which can tolerate the cold temperatures. What’s special about this grass is that it can grow in warm climates too. You need to water this grass at least one inch of water. You can use irrigation system because the water must reach the roots and not to shallow water it. When you mow it, leave from 2 to 2 ½ inches high. The pH of the soil should be from 5.8 to 7. If you want a perfect lawn Kentucky bluegrass is your answer. The tall fescue grass is the perfect grass. It belongs to the cool-season but it has the ability to tolerate heat, drought, and shade too. It can resist grass diseases and it grows best in northern zones. It is resilient and durable grass and it could be the best option for you. This grass came to the U.S. in the 1800s. It was for agricultural purposes up to the mid-1900s when Kentucky 31 appeared. There are different varieties; two of them are the turf-type and the dwarf type. 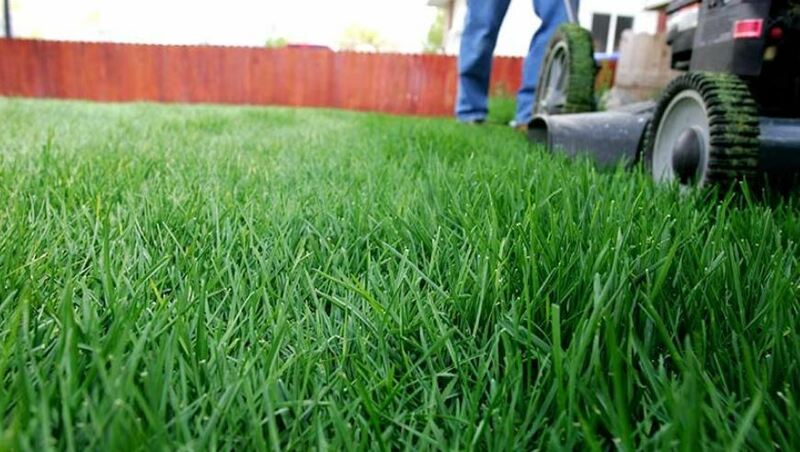 This grass is quite economical because it maintenance is low because it can tolerate the heat and drought. The watering must be deep in order to have a deep growth. When you mow it make sure that you will leave 2 to 3 inches. It can adapt well to different types of soil but it will grow best when the pH is from 5.5 to 7.5. The warm-season grass grows better in warm temperatures. The best time to grass seed your garden will be from late spring and early summer. Spring is the best season for warm-season grass to grow. At this season the soil is perfect because the soil is warm. Don’t be in a hurry when you start to plant your grass. Make sure that the frost is over because you don’t want poor germination, disease and rooting seed to exist. The best soil temperatures are from 65 to 70 Fahrenheit degrees. Sunlight is also essential for this type of grass. Watering your grass is also important because the soil and grass need moisture. Don’t overdo it though. Excessive watering can lead to diseases. It is best to water it early in the morning. Mowing is also significant. Below we will talk about the characteristics of warm-season grass varieties. 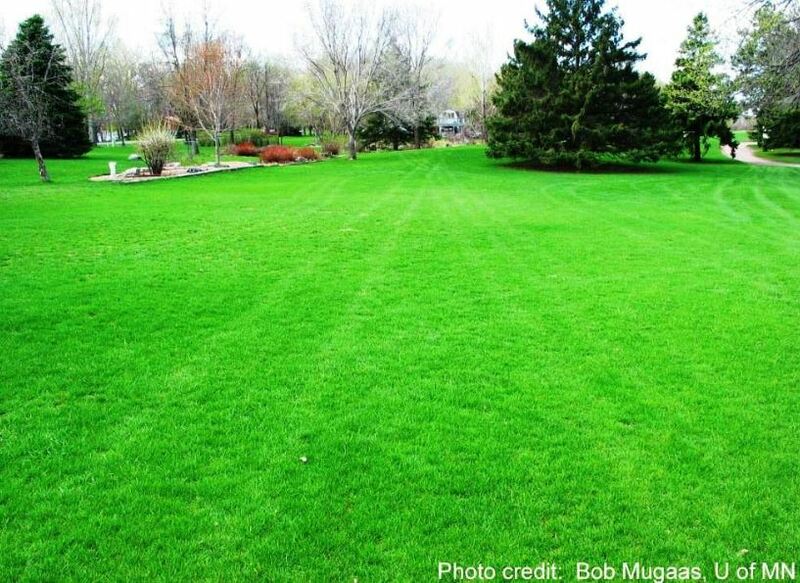 Zoysia grass is the perfect type of grass because you don’t need to do a lot of things in order to maintain it. Even though it belongs to the warm-season it can tolerate cold temperatures too. It needs sunlight to grow, it is dense and it can grow in southern zones. This variety came to the U.S. in 1895. It has the ability to grow year after year when the climate is the appropriate one. 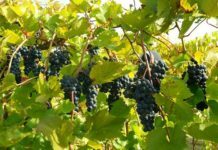 It is a special variety because it can tolerate cold temperatures too. 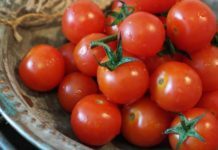 If the area where you live reaches low temperatures then you can try this variety too. The best time to plant this type would be in early spring when the frost passes. Zoysia needs 1 inch of irrigation per week. It all depends on the soil type. Don’t overdo it with watering. Also, when you mow it keep it from 1 to 1 ½ inch. The best soil pH would be from 5.8 to 7. The best time to grass seed your garden with Bahiagrass would be during the warm season. Bahiagrass is a low-maintenance turf. It will grow better when it has full sun, it can tolerate drought and heat. In general, it doesn’t need a lot of care in order to grow. It grows better in the Deep South and Gulf Coast. The best season to grow would be from late spring to hot summer. It will thrive when there is full sun but it can’t tolerate the shade. It first came to the U.S. in 1914 and it is still used in agriculture too. Bahiagrass is an excellent grass; it has the ability to grow even if the soil is poor in ingredients. When it will be time to mow your lawn make sure that you leave 2 to 3 inches. As we have mentioned before don’t forget to test your grass the best pH of the soil would be from 5.5 to 6.5. Iron deficiency is a problem that this grass might have, so don’t forget to supplement it. Don’t overwater it though. The warm-season is the best time to grass seed your garden for Centipede grass. This grass can tolerate the heat. 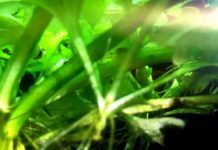 It has low maintenance and nutrient requirements. It needs a lot of sun to grow but it can tolerate the shade too. When you plant it you should make sure that your soil isn’t alkaline because it’s sensitive. Centipede grass first came to the U.S. in 1916. This grass is quite sensitive to cold but if the climate is mild then it will withstand the winter. Even though it needs the soil not be alkaline, it can tolerate drought. This type of grass needs to be watered a lot. When the time to mow Centipede comes, make sure to leave from 1 ½ to 2 inches. It needs little fertilizer and when you buy it keep in mind that it should a fertilizer specifically for this grass. Your grass then will be ready.